For a science center to achieve its goal of democratizing science, it should cope with the dynamic pace of science and technology. The most effective way to do so is through opening up to the fast developing world, and cooperating with similar establishments regionally and internationally. To that end, being part of NAMES grants you the utility to access international network news and events, participate in collaborative projects between NAMES and other international science centers, exchange resources with other members, and work on regional collaborative projects with regional scientific/social aspects. Voting and nomination for the Network’s Board of Directors (only Full Members). 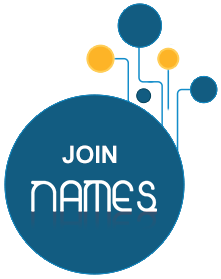 On behalf of NAMES’ Board of Directors, we would like to invite you to join NAMES Network. The fiscal year of the Network shall end on 30 June of each year, or any other date the BoD selects. Full, Sustaining, and Individual Members are to pay an annual membership fee, which is subject to change according to the needs of the Network. The change in fees is decided by a consensus of at least two-thirds (2/3) of the BoD. The fees are announced at the beginning of each fiscal year. Fees are to be paid during the first three months of the current fiscal year. If the fee is not paid during this period, the membership will be automatically annulled unless the BoD decides otherwise in case of force majeure. In order to rejoin NAMES, organizations/individuals are required to submit a new membership application. Members accepted by the BoD in December or January will be invoiced for a semi-annual fee. Unless the SO receives a prior notification of withdrawal, memberships are automatically renewed and new invoices are issued at the beginning of the fiscal year. Members are welcome to make donations to the Network to support its operations. Donating or not donating to the Network will not affect the membership status of any member. Membership fees as well as donations are non-refundable.